As mentioned in a prior blog post, there are generally three components to how we communicate with others—our BODY LANGUAGE, our VOICE, and our WORDS. We have already focused on the critical BODY LANGUAGE component of Eye Contact. Let’s now shift the focus to “how we say what we say”—our VOICE. Pausing forces you to breathe. That’s a good thing too. When you breathe it helps lower your speaker anxiety by calming yourself down, and has the added benefit of allowing you to give more projection and power to the words that you are saying. Pausing allows the audience time to reflect on your point. Learning takes place during reflection. 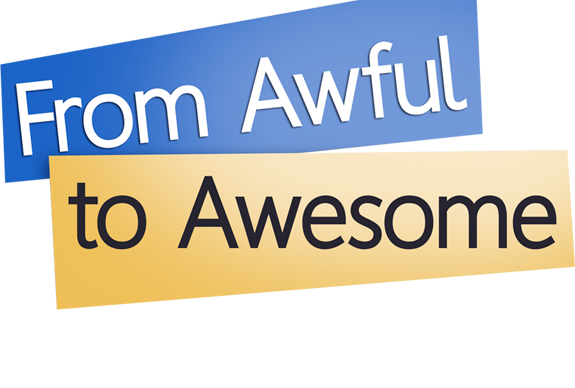 One of the coolest experiences as a speaker is to make a point—pause—and see the audience “get” what you are saying—it’s like seeing a light bulb go off over their heads. If you don’t pause—they miss the chance to get that “aha moment”. Pausing at the beginning of your presentation—before you say a word—signals to the audience that you plan to “own the stage”. Most presenters start speaking immediately—don’t be most presenters. I coached someone recently to mentally count “one thousand one, one thousand two, one thousand three” before they began speaking. They told me later that it was the longest three seconds of their life! They also told me that it helped them feel “grounded” before they spoke—and also had the added bonus of getting everyone’s attention right off the bat. There is no magic number for how long to pause before you begin—but at least HAVE a pause at the beginning. Pausing during your presentation helps you look more confident and credible, which means you have a better chance of making a bigger impact. Have you heard the phrase, “silence is golden”? When it comes to speaking, it can be. 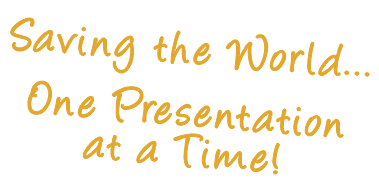 PreviousPrevious post:Mistakes to Avoid in Speeches and TalksNextNext post:Have a Pre-Presentation Routine!